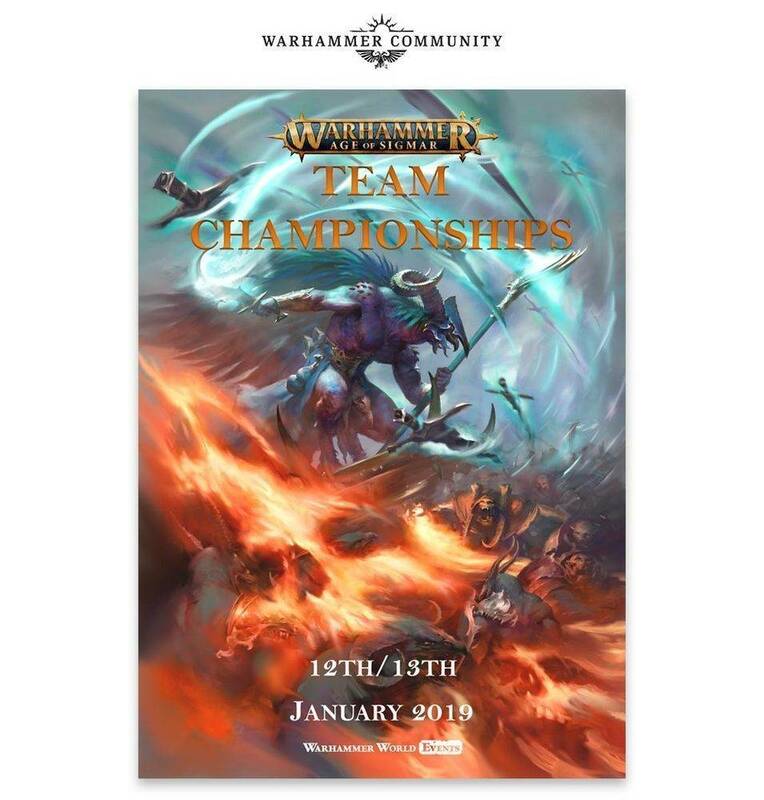 Warhammer world just announced a team tournament (team of 4) 12 and 13 jan 2019. This new style of event, taking place on the weekend of 12th-13 January 2019, will pit teams of four players in a series of individual matched play games against rival teams. Over the course of the weekend, the results of these games contribute to each team’s score and will ultimately determine which team emerges as the overall winners! In a unique pairing system, the competing teams divide their players into two attackers and two defenders in each round. What’s more, to encourage varied army selection among each team’s players, warscrolls cannot be duplicated across their armies. Each team will, therefore, have to think carefully about their collective army selection, along with which players will be best suited to take the roles of attackers or defenders. There will also be an additional category for the event’s painting awards dedicated to the best overall team army, where theme and similar basing styles across the four constituent parts of the army will be crucial (and a suitably impressive display board never does any harm either). It’s a great excuse for a combined hobby project as well as a weekend of gaming fun! Price is 260 for 4 persons with meal on both day included . Format: Singles as a team. You will play individually with your results contributing to your team score. System: Warhammer Age of Sigmar Matched Play. twelve in the General’s Handbook 2018). Age of Sigmar Core Book. Warscrolls may not be duplicated across the team. models – e.g. those found in a battletome rather than a Grand Alliance book or warscroll compendium.